The Trump administration's blacklisting of CNN continues, with Vice President Mike Pence skipping the network as he made the rounds the day after the president's address to Congress. This exclusion came days after CNN made moves to play nice with the administration, proving that "access journalism" means nothing under President Donald Trump. Despite the glowing praise that Trump received from CNN, among other outlets, for his February 28 speech before a joint session of Congress, the network was the only one that Pence did not visit the next morning. Pence appeared on MSNBC’s Morning Joe , Fox News’ Fox & Friends, NBC’s Today, CBS’ CBS This Morning, and ABC’s Good Morning America. Pence also made appearances on conservative talk radio shows The Laura Ingraham Show and The Rush Limbaugh Show, and he will be appearing on Michael Savage’s A Savage Nation. This isn’t the first time that CNN has been burned by Trump and his team. Trump has tried to make the network the punchline to every joke during his administration, in part as retaliation for CNN’s coverage of allegations that he and his campaign had ties to Russia. Trump has called CNN “fake news,” attempted to embarrass reporter Jim Acosta during a briefing, refused to send White House officials to appear on CNN’s Sunday show, and attacked anchor Don Lemon as “dumb” and a “lightweight.”And the latest move comes on the heels of a “ bait and switch” in which Trump told CNN and other television anchors in a private meeting that he was interested in creating a path to citizenship for undocumented immigrants, but then dropped the issue “when he was actually out there speaking to the American public.” The administration has admitted it “was a misdirection play,” according to CNN’s Sara Murray. CNN was also one of the outlets that was denied entry during last week’s media gaggle, along with The New York Times, Politico, BuzzFeed News, and the Los Angeles Times, in favor of Trump-friendly outlets Breitbart, The Washington Times, and One America News Network. CNN is being singled out as a punching bag by the Trump administration, and even when the network tried to play nice it was blacklisted and fed bad information. "The Society Of Professional Journalists Stands By Those News Organizations That Chose Not To Participate In The Briefing"
Media are criticizing as "unacceptable" the Trump administration’s blacklisting of outlets from a White House briefing and some are considering joining the boycott of AP, Time Magazine, and USA Today immediately. Unlike those outlets, ABC, CBS, NBC, and Fox News accepted the invitation to join the briefing and attended. Republican presidential running mates Donald Trump and Mike Pence took former President Bill Clinton’s comments about Obamacare out of context to claim he “absolutely trashed” Obamacare in recent remarks. Numerous media outlets noted that Clinton’s statements on improvements necessary to the Affordable Care Act (ACA) are actually “referring to the same central challenge” that President Barack Obama and Democratic presidential nominee Hillary Clinton want to address. Harvard professor Thomas E. Patterson conducted an analysis of media coverage in the four weeks surrounding the Republican and Democratic national conventions and found that Democratic presidential nominee Hillary Clinton “has suffered substantially more negative news coverage” than her Republican rival, Donald Trump. Patterson concluded that if Clinton loses the election, news media’s disproportionately negative and context-free coverage of her email set-up as secretary of state will be partly to blame. Throughout Clinton’s presidential campaign, media’s heavy reporting on Clinton’s private email server has been largely characterized by errors, mischaracterizations, and false reporting. Studies, including another from Harvard, have confirmed that Clinton has been the recipient of overwhelmingly negative news coverage, while Trump’s has been more positive. My analysis of media coverage in the four weeks surrounding both parties’ national conventions found that [Clinton’s]use of a private email server while secretary of State and other alleged scandal references accounted for 11% of Clinton’s news coverage in the top five television networks and six major newspapers, including the Los Angeles Times. Excluding neutral reports, 91% of the email-related news reports were negative in tone. Then, there were the references to her character and personal life, which accounted for 4% of the coverage; that was 92% negative. Not a single one of Clinton’s policy proposals accounted for even 1% of her convention-period coverage; collectively, her policy stands accounted for a mere 4% of it. But she might be thankful for that: News reports about her stances were 71% negative to 29% positive in tone. Trump was quoted more often about her policies than she was. Trump’s claim that Clinton “created ISIS,” for example, got more news attention than her announcement of how she would handle Islamic State. Clinton’s emails and the accompanying narrative — “she can’t be trusted” — have been a defining feature of coverage from the campaign’s start. Only occasionally have reporters taken the narrative a step further. How important, exactly, are her emails in the larger context of presidential fitness? And just how large a transgression are they? Scanning media headlines after Republican presidential nominee Donald Trump’s statement about his racist birther crusade, one could reasonably come away thinking Trump had fully renounced and apologized for his years-long offensive campaign to delegitimize President Barack Obama. That was not the case -- Trump did not apologize and in fact blatantly lied in his 26-second remarks -- but media’s collective failure to accurately describe the event in their headlines may have left readers thinking Trump shut the door on his birtherism. After building “suspense” that he was going to definitively address his racist accusations that President Obama was not born in the United States, Trump used his “circus” of an event to briefly say that “President Obama was born in the United States. Period" and to falsely accuse “‘Hillary Clinton and her campaign of 2008” of starting “the birther controversy.” Trump also erroneously claimed he had “finished” the controversy by forcing President Obama to release his birth certificate. Though the original headlines are not technically incorrect, the lack of context -- Trump’s brief comments after taking the media for a ride, his outright lie about Clinton starting birther rumors, and his false assertion that he had “finished” the birther controversy -- likely misled readers. That matters. If, like many people, you only glance at the news (yes, we know how long readers spend finishing articles), you come away with the impression that Trump is trading Clinton blow for blow and white paper for white paper. If either candidate released their entire medical history, or Trump revealed his entire tax returns, only a handful of voters might even read them. They'd depend on the press to find the story and the lede. Most coverage of campaigns needs to be shrunk to fit a chyron, anyway; Trump's innovation has been to preshrink the news. Headlines matter in a Twitter-driven, fast-paced media landscape. Offering crucial details in articles -- but not in headlines -- may not be enough anymore, particularly in the age of Trump. Joining a long list of concerned media voices, The New York Times' editorial page this week linked up with the Beltway chorus to express alarm over the Clinton Foundation and the “question” it presents for Democratic presidential nominee Hillary Clinton’s campaign. As part of its declaration, the newspaper dutifully noted, “‘Pay-to-play’ charges by Donald Trump have not been proved.” But the Times, like so many other lecturing voices, was quite clear in claiming that the Clintons have to address concerns about optics even if that means shutting down their landmark global charity. That’s how important it now is for the do-good foundation to be spotless and pure: Optics trump humanitarianism. Or, there’s no proof anybody did anything wrong, therefore drastic actions must be taken to fix the problem. The meandering foundation story has become a case study for the Beltway media’s double standard: holding Clinton to a higher mark that’s based on optics, not on facts. Unable to prove misconduct or anything close to it (just ask the AP), the press relies on the comfy confines of “optics” and the “appearance” of conflict to allow them to attack Clinton and the foundation. For Clinton, it’s a can’t-win proposition. If the press says the story looks bad, even if there’s nothing to suggest it actually is bad, she gets tagged with an optics problem. And because journalists are the only ones handing out the grades, they get to decide how bad it looks. But the journalism malpractice doesn’t end there. It extends to the fact that the press doesn’t apply the same visual test to Republican nominee Donald Trump, whose far-flung business dealings would represent an actual, even historic, conflict of interest were he to be elected president. Also, note that high-profile Republicans have run foundations in the past, accepted big donations, and never been hounded by the press regarding supposed optics violations. What’s so strange about the current “appearance” phenomenon is that the narrative often runs right alongside media concessions about the lack of evidence proving Clinton wrongdoing. There's no question the optics are bad for Clinton and the Clinton Foundation. But no proof has emerged that any official favors -- regulations, government contracts, international deals -- were curried in exchange for donations or pledges. On and on the parade marches: “Even if they’ve done nothing illegal, the foundation will always look too much like a conflict of interest for comfort” (Boston Globe). “At the very least, there is an appearance of a conflict of interest for the foundation” (CNN’s Anderson Cooper). Perhaps the strangest presentation came from a Times news report that claimed “the potential for real or perceived conflicts of interest” was causing problems for Clinton. Think about that for a minute. Not only is Clinton being graded on perceived conflicts of interest, but also on potential perceived ones. It’s natural to assume that where there’s smoke, there’s fire. But the smoke emanating from the Clinton Foundation is not a naturally occurring phenomenon. It is the result of a reasonably well-funded dedicated partisan opposition research campaign, and of editorial decisions by the managers of major news organizations to dedicate resources to running down every possible Clinton email lead in the universe. It also seems like journalists aren’t even sure what they’re trying to accuse the Clintons of doing. Optics violations can be confusing like that. But you don’t need to believe the Clintons are guilty of intentionally engaging in quid pro quo (though it’s not crazy to think they may have) to know that there is something wrong with a dynamic where it is nearly impossible to prove that they did, or even that they didn’t. Even if Hillary were somehow able to completely separate the donations -- to say nothing of her and her husband’s speaking fees, which have often come from many of the same corporations who fund their family foundation -- from her official decision-making, she simply has no way of preventing the appearance of pay for play. And the mere perception of access matters, both in the financial marketplace and the political one. That is, frankly, a bizarre and impossible standard: Clinton must eliminate even the “perception” of special access. I mean, people realize every member of Congress accepts money from donors, right? Therefore, every donor who gives money instantly creates the possibility of purchased access. When is Slate going to cross-check schedules for every member of Congress to see how many donors they meet with and then demand each member eliminate even the “perception” of access? Meanwhile, all of this optics policing unfolds while Clinton’s Republican opponent serves as an executive on more than 500 companies. So why the relative media silence about Trump’s boulder-sized conflicts of interest? Where are the litany of editorials demanding he take preventive action to fix the optics? I’ve seen some good coverage in the business press about Trump’s massive conflicts (“Donald Trump's 500 Businesses Would Pose 'Unprecedented Ethical Dilemma'”), but little attention from the Beltway media, especially as compared to their relentless obsession with alleged Clinton conflicts. Lastly, the media’s ceaseless hand-wringing over the Clinton Foundation represents a brand new way of covering charities run by famous political figures. The media allegation that wealthy donors give to the Clintons simply to cash in favors at a later date represents a cynical narrative that simply did not exist in previous Beltway foundation coverage. Note that Colin Powell founded a charity, America’s Promise. Then he became secretary of state under President George W. Bush. Well, Powell’s wife, Alma Powell, took it over. And it kept raking in donations from corporate America. Ken Lay, the chair of Enron, was a big donor. He also backed a literacy-related charity that was founded by the then-president’s mother. The US Department of State, at the time Powell was secretary, went to bat for Enron in a dispute the company was having with the Indian government. Did donors send big checks to Powell’s family foundation in order to gain access to him, to his son Michael, who was then commissioner of the Federal Communications Commission, or to other Bush administration officials? We don’t know, in part because the press never turned the issue into an “optics” obsession. The press also didn’t seem relentlessly interested in finding out whether big donors were sending checks to the American Red Cross in 1996 while Sen. Bob Dole (R-KS) ran for president. At the time, Dole’s wife, Elizabeth, ran the charity. Today, “optics” has become the go-to campaign theme for journalists who can’t find evidence of Clinton malfeasance. That’s not what campaign reporting is supposed to be, but the misleading craft is thriving. And in this election cycle, the flimsy, malleable standard only seems to apply to her. It just plain looks bad. Really bad. To be clear: I have no evidence -- none -- that Clinton broke any law or did anything intentionally shady. But, man oh man, does this latest news about the Clinton Foundation cloud her campaign's attempts to paint the charity group and her State Department as totally separate and unconnected entities. There is not an ounce of proof suggesting criminality or racketeering, no indication that Secretary Clinton performed special favors for foundation donors. Nevertheless, there are plenty of Clinton allies who are troubled by her ties to the foundation because it simply looks bad. Appearances are important, even if intentions are pure. No, it is not “the most corrupt enterprise in political history,” as Donald Trump is calling it, nor is there enough evidence of potential criminality to warrant appointment of the special prosecutor Trump is seeking. But the only way to eliminate the odor surrounding the foundation is to wind it down and put it in mothballs, starting today, and transfer its important charitable work to another large American charity. Even if every one of the meetings that Secretary Clinton had with foundation donors was a meeting she would have had anyway, the impression that one can pay to play means that there’s no tidy way to wall the two off. We can all readily agree that the optics of Clinton granting audiences to deep-pocketed swells who had sent tens of millions of dollars to the Clinton Foundation are not good. The Clinton Foundation and the appearance of corruption. And the U.S. Supreme Court has recognized a “compelling government interest”—which can justify restrictions of the fundamental right to free speech—in avoiding even the appearance of corruption. The “quid” and the “quo” are enough, even if the “pro” can’t be proved. Media Matters researcher Tyler Cherry contributed research to this post. As thousands of athletes from around the world descended on Rio de Janeiro, Brazil, this summer to compete in the 2016 Summer Olympics, broadcast and cable news programming missed a golden opportunity to discuss the incredible legacy of the legislative reform largely responsible for the growth and success of women’s sports in the United States and around the world -- Title IX. One of the biggest stories coming out of the 2016 Summer Olympics was the sheer dominance of American athletes in general, and American women in particular. American swimmer Katie Ledecky and gymnast Simone Biles finished the games with four gold medals each (and five medals overall) and, at just 19 years old, they both are widely considered the most dominant athletes in their respective sports. Meanwhile, as the United States men’s basketball team struggled before coalescing in the gold medal match, the American women’s team blasted every opponent en route to a sixth consecutive Olympic championship. The United States is one of the few countries to embed sports within the public education system. 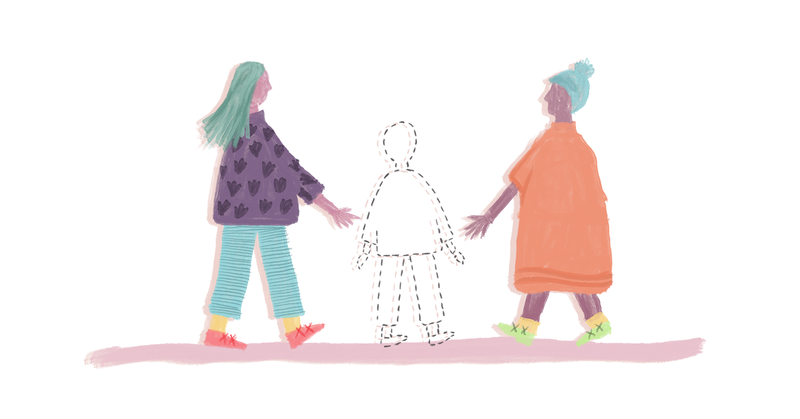 And equal access to sports for women comes with legal protections, gained with the education amendment known as Title IX in 1972 and the Olympic and Amateur Sports Act in 1978. About one of every two American girls participates in sports in high school. Of the 213 American medalists in individual and team sports in Rio, according to the [United States Olympic Committee], nearly 85 percent participated in university-funded sports. A review of available Nexis transcripts from August 5 through August 21 returned 259 results mentioning the Olympics in Rio, including just two references to Title IX’s role in encouraging and supporting female athletes and women’s sports: NBC Nightly News and PBS NewsHour each mentioned the legislation during Olympic segments on August 18 and August 19, respectively. By contrast, there were dozens of mentions of American swimmer Ryan Lochte’s infamous and unsubstantiated story of being robbed at gunpoint outside a Rio gas station. Major print outlets including like The New York Times, The Washington Post, the Los Angeles Times, and USA Today gave Title IX special attention in 2016, but their television counterparts once again dropped the ball. 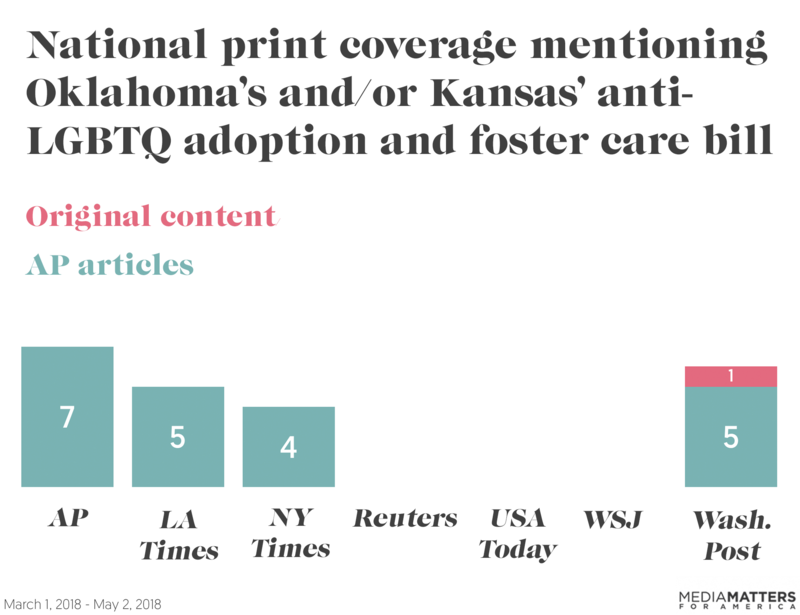 Title IX was also conspicuously absent from print and television coverage of the 2014 Winter Olympics, according to a February 2014 Media Matters analysis. As noted above, Title IX of the Education Amendments of 1972, which was authored by Sen. Birch Bayh (D-IN) and Rep. Patsy Mink (D-HI) and signed into law by President Richard Nixon, has left an indelible mark on women's sports over the past 44 years. But American women aren't the only beneficiaries of the legislation; Title IX’s prohibition against gender discrimination at most educational institutions is a major contributing factor in making American universities a magnet for athletes from around the world. Stanford University, the most successful athletic institution in the world this year in terms of Olympic medals, produced a number of American women medalists -- including burgeoning swimming stars Ledecky, Maya DiRado, and Simone Manuel. It also produced Greek pole vault gold medalist Katerina Stefanidi. If not for Ledecky, the most successful women’s swimmer of the summer would have been Hungary’s Katinka Hosszu, an alumna of the University of Southern California. (Controversial Russian swimmer and two-time silver medalist Yulia Efimova, though not an alumna of the school, is coached by Southern Cal head coach Dave Salo.) Bahamian sprinter Shaunae Miller, an alumna of the University of Georgia, edged out former Southern Cal sprinter Allyson Felix to win gold in the women’s 400-meter. Canadian swimmer Chantal van Landeghem, another Georgia alum, took home a bronze medal in the women’s 4x100-meter freestyle relay alongside teammate and Ohio State University graduate Michelle Williams. Canadian track and field star Brianne Theisen-Eaton, who won a bronze medal in the heptathlon, attended the University of Oregon. 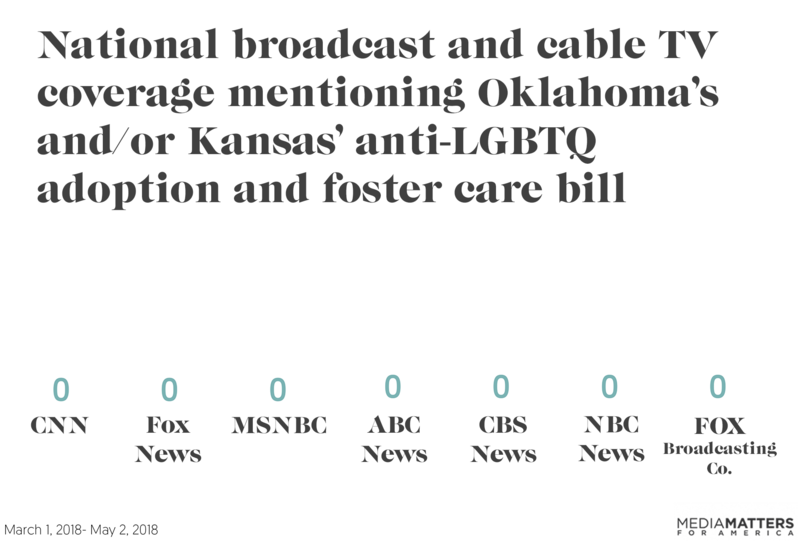 This is just a snapshot of the Title IX impact that was on display at the 2016 Summer Olympics, but broadcast and cable news almost completely ignored the success story, despite offering a torrent of Olympic-centered stories and features. Media Matters conducted a Nexis search of transcripts of evening and prime-time (defined as 5 p.m. through 11 p.m.) weekday programs on CNN, Fox News, and MSNBC, and network broadcast news (ABC, CBS, NBC, and PBS) from August 5, 2016, through August 21, 2016. Media Matters also reviewed Sunday political talk shows on ABC, CBS, CNN, Fox Broadcasting, and NBC during the same time period. We identified and reviewed all segments that included any of the following keywords: olympics or rio or title nine or title 9 or title ix. The following programs were included in the data: World News Tonight, This Week with George Stephanopoulos, CBS Evening News, Face the Nation, NBC Nightly News, Meet the Press**, PBS NewsHour, The Situation Room, Erin Burnett OutFront, Anderson Cooper 360, CNN Tonight, The Five, Special Report, On the Record with Greta Van Susteren, The O'Reilly Factor, The Kelly File, Hannity, MTP Daily, With All Due Respect, Hardball with Chris Matthews, All In with Chris Hayes, The Rachel Maddow Show, and The Last Word with Lawrence O'Donnell. For shows that air reruns, only the first airing was included in data retrieval. **NBCUniversal pre-empted Meet the Press on August 14 and August 21 to air exclusive coverage of the Olympics on NBC.